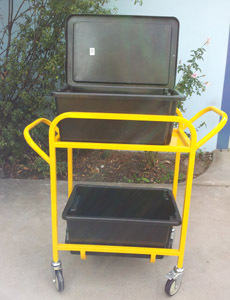 Australian Made 2 tier stock picking trolley with two 46 litre tubs included. 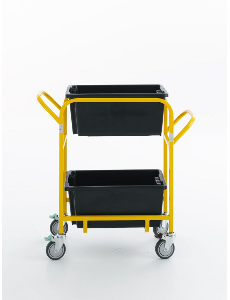 Quality 5" industrial castors, 2 swivel with brakes and 2 swivel with direction locks. Great for all round use.